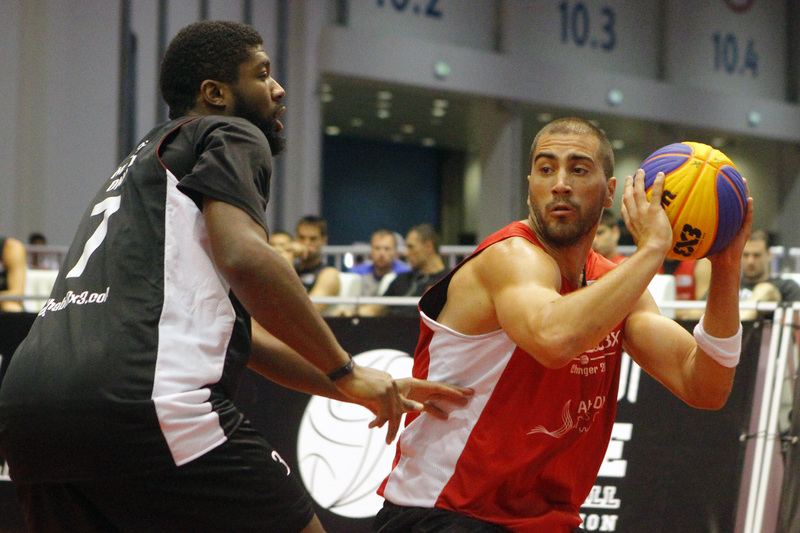 First day of Abu Dhabi 3×3 Challenger 2016 ended without any upsets and the favorites confirmed their resume by dominating the games.Top seeded Al Wahda Novi Sad showed some stifled defense against their main opponents, Abu Dhabi and won 21-11 and also dismantled their first opponents, Nizwa, from Oman, 21-6. Also the other World Tour Final teams that are part of the Abu Dhabi Challenger recorded two wins after the first day. Ljubljana, the number two seed received only 16 points in total from Manila and Bucharest while Kranj was even tougher in the defense, with only 13 points received. Both Slovenian teams won their games before the 10 minute mark. Only Kolobrzeg, the team of the three Rduch brothers had some difficult times against their compatriots from Lodz Born2Ball, winning with 22-17 in their second game. In three out of the four pools teams are still battling for the second place and qualification in the quarter finals, while in pool B, Belgrade Monstars and Ljubljana, both already qualified, will play tomorrow for the top place in the pool. Around 500 spectators enjoyed the first day of Abu Dhabi 3×3 Challenger who featured shows of the Da Move Crew, the freestyle team from Italy and contests for the fans, while everybody could get for free their own henna tattoo. Second day of the Abu Dhabi 3×3 Challenger will bring not only basketball games and entertainment but also the chance to win a car in the Abu Dhabi Sports Festival Raffle that will take place in ADNEC (Abu Dhabi National Exhibition Center) on Saturday. The top two teams from each pool will advance on the quarter finals, while both finalists of Abu Dhabi 3×3 Challenger will qualify for the FIBA 3×3 World Tour Masters in Japan. Abu Dhabi 3×3 Challenger is organized by Abu Dhabi Sports Council together with UAE Basketball Association and it is part of the Abu Dhabi Sports Festival 2016, in ADNEC.